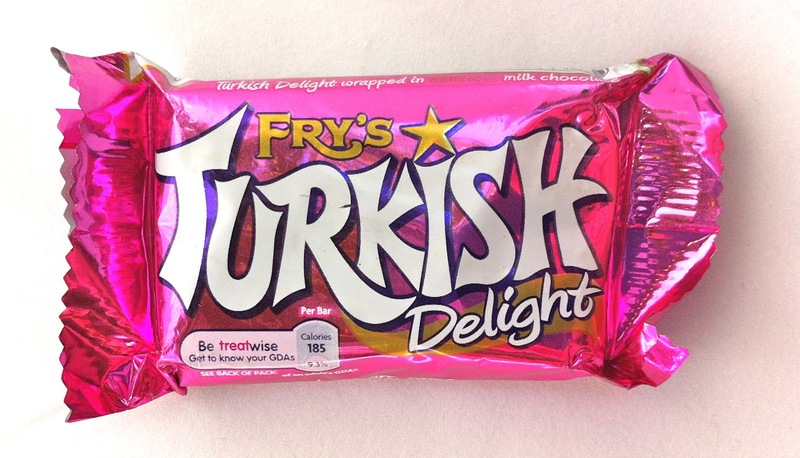 Although now distributed by Cadbury, Fry's Turkish Delight was originally introduced by J.S. Fry & Sons in 1914. It's a rose-flavored turkish delight candy surrounded by Cadbury milk chocolate. I'm not a fan of turkish delight, even the hand-made really good stuff that often has nuts suspended throughout the jelly. It's just too much jelly, and too flavorless, and I don't like the consistency or the absence of flavor. So I'm naturally not a fan of Fry's version. However, my father is a huge fan of turkish delight candy in general and I can assume he would be thrilled to find this treat in the supermarket instead of having to seek it out in specialty shops. The dense bar is small- about half the size of your average candy bar. 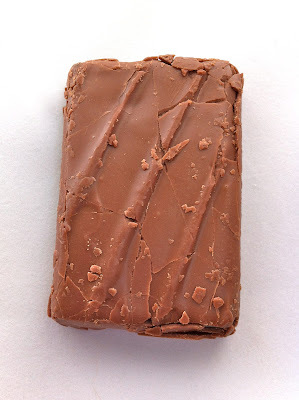 The milk chocolate is great, as Cadbury's always is. But rose jelly and chocolate? 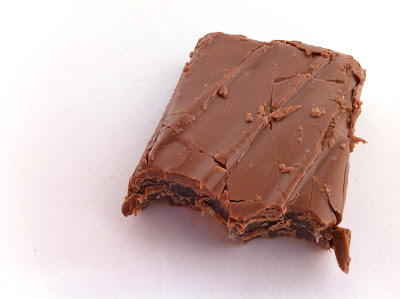 A strange taste sensation especially when it consists of thick gelatin surrounded by melty chocolate. Thanks for finding this esoteric treat, Tara! I believe that my dog, Max, is a huge fan of Turkish Delight that comes in tins. There might still be a few pieces buried in my couch. I love Turkish Delights from Turkey, But no local shops in my area sell them, I've recently come across an online UK shop that sells them called Gulluoglu has anyone else used them before? Hi Andrew, I'm the manager for Gulluoglu.co.uk, we have recently launched our online website which contains 24 flavours of Authentic Turkish Delights for you to pick'n' mix from. If I can provide you with any information please don't hesitate to contact me on mustafa@gulluoglu.co.uk.